Back in the day (the Victorian day, for the most part), serial publishing was the way to get new, big novels to the public. Newspapers and magazines would pay authors a chapter at a time, and publish stories over the course of months. As publishing systems go, it was a good one; the newspaper was benefited from regular, repeat readers who wanted to know what was going to happen, and the authors benefited from regular paycheques that kept them from starving while they toiled away on their novel. They also benefited (or suffered) from up-to-the-minute reader reaction. It has been quite a while since stories were published this way. In part, that's because the publishing industry became more efficient and also because newspapers stopped setting aside space for such "leisure " material. This month, though, the National Post's literary blog The Afterword went old school and started printing (well, posting anyway) Toronto author Joey Comeau's latest novel chapter by chapter. One Bloody Thing After Another launched in May and chronicles the more sensitive side of the zombie story. That may sound like a paradox, but what Comeau does is ask a simple question: what would you do if your mom because a zombie? Rather than simple presenting a gore-filled horror novel, Comeau brings a kind of psychological depth to the zombie story, and winds it around a coming-of-age tale filled with first loves and a very, very complicated mother-daughter relationship. 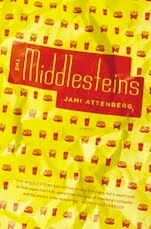 The beauty of the serial-style publishing is that it forces you to read slowly and consider what exactly is going on and why a novel is broken up the way it is. In a Victorian literature course I took in my undergrad, we were made to read The Moonstone by Wilkie Collins - a mystery novel that set up many of the tropes you see in Sherlock Holmes - the way it was originally published, a few chapters at a time. As the suspense built and cliffhangers were set up I realized how much skill went into crafting each section so that they would be both entertaining and engrossing on their own and fit properly into the larger whole. Comeau's novel may not have been written to fit those parameters originally, but it's always fun to read something presented in a different way, especially if it leaves you wanting more at every turn. 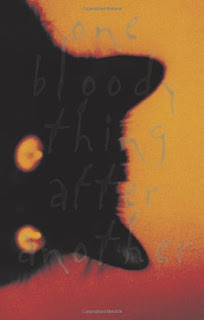 Image shown the cover of One Bloody Thing After Another, published by ECW Press in 2010.